[Boy/Girl Party] Little Prince Book Birthday Party! The world needs more boy-girl combo party ideas! Based on the book, The Little Prince by French writer Antoine de Saint-Exupéry, this party is full of gorgeous details. 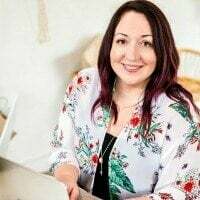 A life with multiples sure makes for an interesting one but how can you have one evenly themed birthday party when both little girls and boys are involved? Flavia from Stunning Party, originally born in Brazil but now living in Ireland, put together a brilliant, “why didn’t I think of that?” boy-girl party for 4-year-old twins. Check out this Boy’s Knights and Dragons Birthday Party for lots of excitement and adventures. 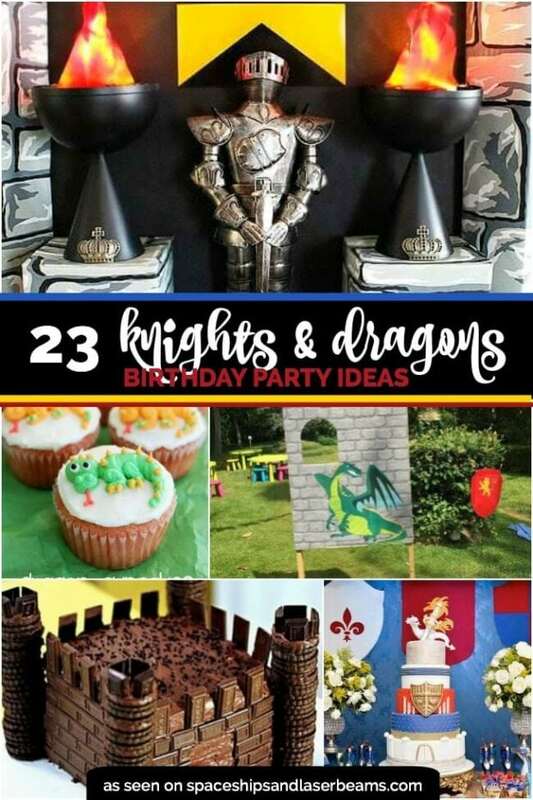 Don’t miss out on this Knights and Dragons Boy’s Birthday Party for lots of great ideas. The Little Prince is a common birthday party theme for little boys in Brazil but Flavia put a fun spin on the concept and turned the previously-boy themed idea into a perfectly polished boy-girl party. With the main character being a boy, the Prince, how did Flavia incorporate an equally represented girl-element for the sister? The Little Prince goes off to explore the universe in search of an imagination and understanding, leaving behind his planet and his precious rose. Throughout the story, he’s trying to make his way back to his rose, the most important thing in his life. From there, the creative juices started rolling and the “boy” theme in the party became Prince inspired and the “girl” theme was rose inspired. Told you it was a brilliant theme! Guests were able to live in the universe of The Little Prince and his quest with Flavia’s use of themed decor and unique dessert ideas perfectly designed with the boy-girl elements being brought to life. With a little help from eBay and some DIY projects, Flavia was able to transform the dining room into a universe fit for a Prince and his rose. The straight-out-of-the-book iconic illustrations were wall clings with an accompanied DIY Knights and Dragons Boy’s Birthday Party written on stars, “what is essential is inevitable to the eye”. With styrofoam, a little paint and fishing line – two floating planets representing Earth and the Prince’s planet were hung from the ceiling creating an out of this world 3-D experience. Flavia did such an excellent job transforming the space into a perfectly thought-out experience for the twins and their guests. Her creativity shines even more with the delicious and dreamy dessert table! What’s better than one birthday cake? Two birthday cakes. Both vanilla, one full of raspberry buttercream and one with coconut. Flavia even created a fondant Price as the topper for the boy’s cake. Such talent! Oh, and there’s more where that came from! The twin’s mom and friends put together Brazilian-famous brigadeiros, one with red sprinkles for the rose and another with blue sprinkles for the Prince. The red brigadeiros were created to look like life-like roses. Almost too perfect to eat! The rose elements were perfectly portrayed through all the little girl desserts! Who doesn’t love tasty rose-icing cupcakes? The perfect party for a sweet-tooth, other shining stars included cotton candy pops, meringues sugar cookies and (alcohol-free) Jell-O shots. With all these perfectly implemented elements, this boy-girl birthday party was full of love and delicious desserts. Every detail, down to the mini Jell-O cup spoons were thought of! The girl’s side of the dessert table had perfectly hand-decorated tiny roses on their spoons while the boy’s side had blue ribbons. Flavia was going for a “light and airy/in the clouds” feel with all the desserts and I think she nailed it! To continue with the theme of “in the clouds” and “dreamy”, Flavia DIY’d holding stands for the cotton candy and marshmallow pops so they gave the appearance of floating in the universe. The Little Prince hopped from planet to planet so it’s only fitting that everything in this birthday party universe floats. Throw your own birthday party with these party supplies. Check out these parties for more lovely party ideas.